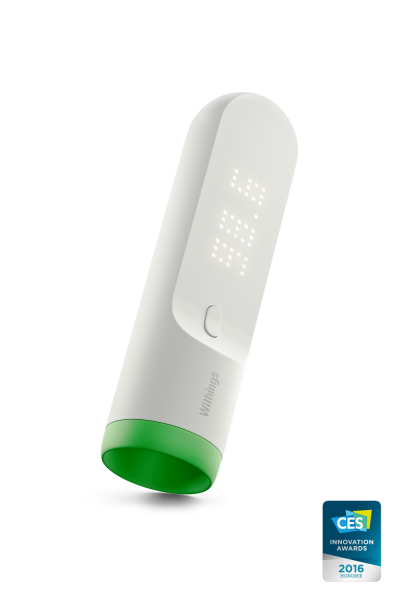 Withings Thermo is a Wi-FI enabled thermometer that gives both heath providers and home-care providers tracking, accuracy, and ease of use when taking the temperature of their patients, both old and young. 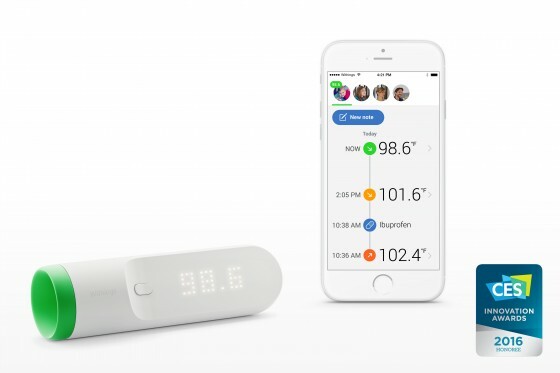 The Thermo uses 16 infrared sensors to take 4000 measurements in 2 seconds, resulting in in a highly accurate reading compared to traditional electronic and analog thermometers. 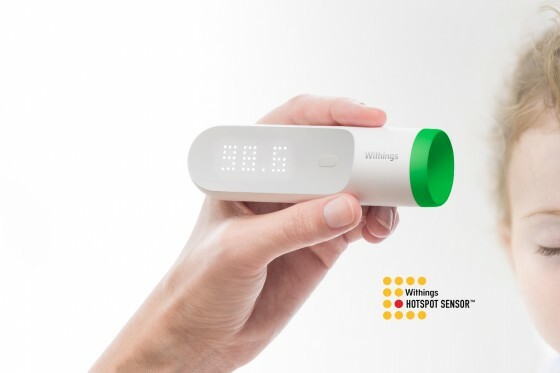 The Thermo automatically sends the readings to the Wi-Fi or bluetooth connected app to provide an accurate temperature diary. For parents and medical personnel, having an easily visible history of temperature changes over time will allow them to see how effectively applied treatments help.